Are you familiar with the German band CAN? They are legends in the world of alternative/hipster music (and with good reason), a bit like the German equivalent of the Velvet Underground. Their best lp is probably Ege Bamyasi, which you should get. 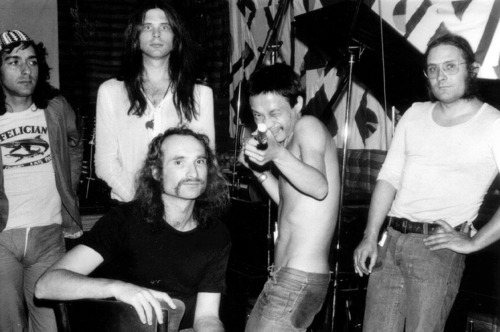 They recorded much of their music in a castle and featured the odd-ball singing of Damo Suzuki in their peak years, a homeless Japanese man they discovered singing on a street corner and made their lead singer. Can’s awesome drummer, Jaki Liebezeit, recorded with, among others, David Bowie & Brian Eno. Holger Czukay is still releasing excellent music on Mudd’s amazing Claremont 56 label.